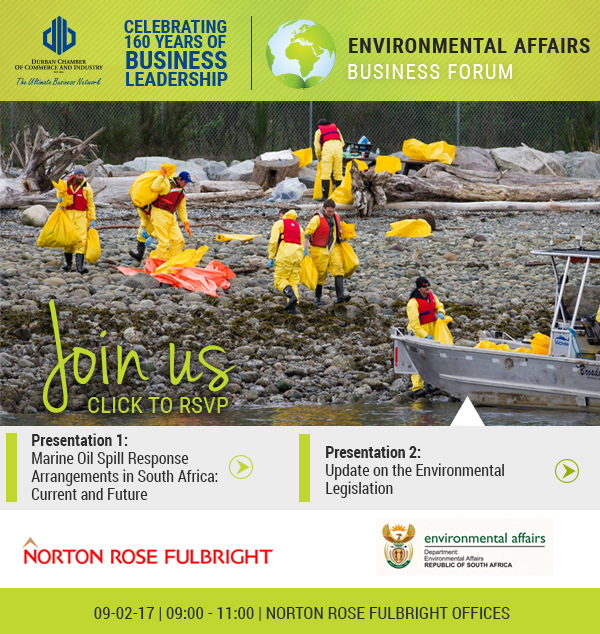 The Environmental Affairs Business Forum will discuss the Marine Oil Spill Response Arrangements in South Africa and the latest Environmental Legislation brought to you by Durban Chamber of Commerce and Industry, Norton Rose Fulbright and the Department of Environmental Affairs. Feroza Albertus is the manager of the Control Environmental Office overseeing the sub-directorate Offshore Sources of Marine Pollution at the Department of Environmental Affairs. The sub-directorate (SD) currently administers Section 70 -73 of the Integrated Coastal Management Act (24 of 2008) which talks to the dumping of waste at sea. The SD also responds to oil spill incidents in the marine environment. 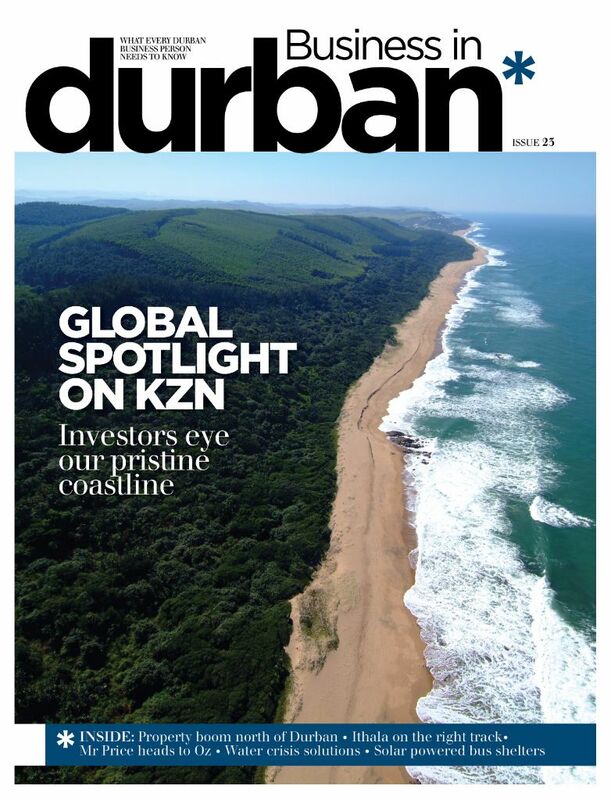 The presentation will provide more information as well as offer advice and guidance on marine pollution (in the offshore environment) and implement Initiative B1 of Operation Phakisa Ocean Economy – Oil and Gas Lab.